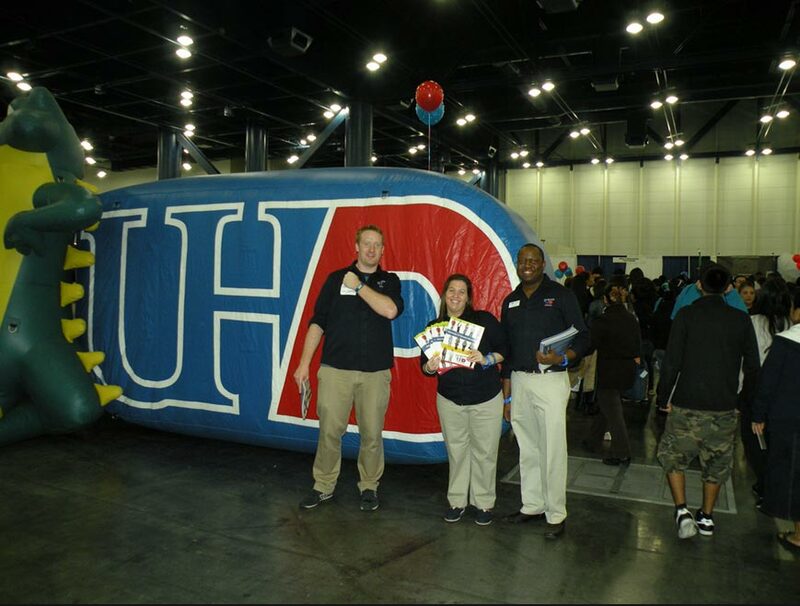 Once again, UHD participated in the Houston Hispanic Forum's Careers & Education Day (CED) held Saturday, Feb. 9, in the George R. Brown Convention Center. This event focuses on improving Hispanic achievement in the greater Houston area through information and dialogue, service, collaborations, and promoting awareness of educational issues affecting Hispanics. Admission to the event is free and attendees can participate in student and parent workshops, meet with college representatives, and learn about career and financial aid opportunities. Check out a few pictures from the event!